The Stansted Long Stay car park is the closest and most convenient long term, on-site car park to the terminal building at Stansted Airport. Stansted airport parking is rated, on average, 4 out of 5 by 2,957 Airparks customers. 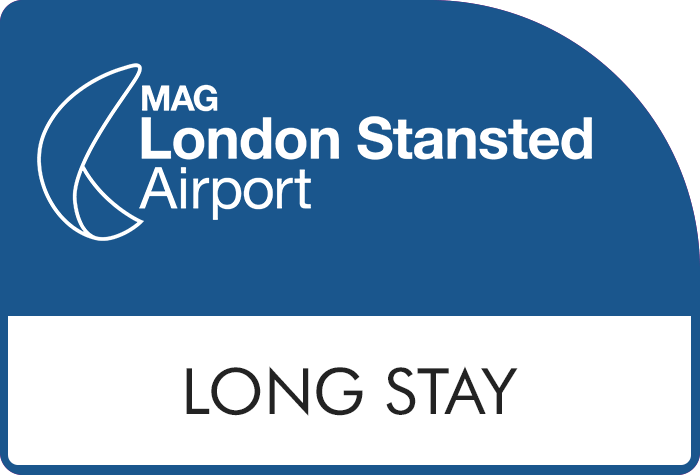 You can find the full reviews on our Stansted Long Stay reviews page. If you book this excellent parking facility in advance with Airparks you can save up to 70% off the on-gate price giving you more pennies to spend on your holiday! With free, 24 hour, transfers and a location that's just 10 minutes from the terminal this is certainly a car park worth considering to make everything that little bit easier for you. Top Tip: Book early to take advantage of the Long Stay Saver; tickets are non-amendable and cannot be cancelled but you are guaranteed to save money. You can check current availability and pricing by entering your required dates at the top of the page. When you're ready to arrange your parking at the Stansted Long Stay car park you can do so using our easy online booking. You can see our full range of Stansted Airport parking here. When you arrive at the Stansted Long Stay Car Park drive up to the barrier and the camera should automatically recognise your car's number plate. A ticket will be issued that contains your unique booking reference and the barrier will raise for you, drive in and find a spot to park up. You keep your keys so just remember where you parked! Top Tip: Don't put your card into the ticket machine as you may be charged again. Once you've found yourself a memorable spot grab your luggage and head to the bus stop area where you can jump on the free transfer bus which runs every 15 minutes, 24 hours a day and takes about 10 minutes to reach the terminal. Head back to the bus stop you arrived at and catch the free bus back to the car park. Once you've found your car simply drive to the exit barrier and use the ticket you were issued to raise the barrier and off you go! Blue Badge holders can find designated parking spaces in Zone Q and all the transfer buses are wheelchair accessible. There's no height restriction at the car park - high vehicles, oversized vehicles and vehicles with trailers should use Zone Q.